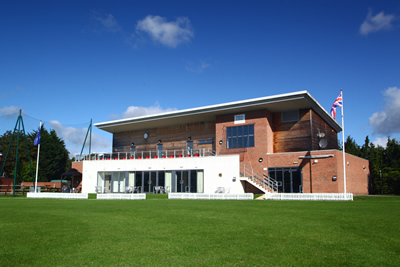 The Cricket Clubhouse Venue is run by the team at ‘Totton & Eling Cricket Club Events’. Previously known as Totton Sports & Social Club and the BAT Sports & Social Club prior to this. Our Venue is an ideal location for Corporate Events, Wedding Receptions and Private Functions including Parties, Christenings & Life Celebrations. We offer a large Function Room with a Private Bar and Professional Catering ranging from bar meals, hot & cold buffets, BBQ’s, Hog Roasts to sit down formal dinners. We also hold annual club events including our stunning firework display, New Year’s Eve and Christmas Parties, popular tribute band nights and children’s discos. Please see the relevant event page or view our ‘What’s On’ calendar for details of all upcoming events. We are a family friendly club and offer Social Membership. Some of the key benefits include a designated Members Bar showing all major Sporting Events, regular Club Events, a Children’s Play Park for the under 10’s (plus 1.3 acres of cricket field!) along with basketball nets and goal posts for the older children, and much more! Please see our Membership page for more details on becoming a Social Member of Totton & Eling Cricket Club. Totton & Eling Cricket Club has its roots dating back to the early 20th Century. Evolving from the British & American Tobacco Sports & Social Club, Cricket has always played a very important part for its employees. In fact the first ever Company Cricket Team was comprised of Ladies, who called themselves “The Sunbeams”! These early cricket matches, from around 1920 were played at Bellemore Road up until the move to Southern Gardens, Totton. The present club started life as the “Bramtoco Sports Cricket Club”. The original clubhouse, was built in 1929 in the far corner of the grounds adjacent to the railway line (where the groundsman’s workshop is now situated). It was opened by the chairman of the company with the attendance of other directors and wives: the weather is reported to have been rain until late afternoon when three hours of cricket were played between Southampton and their London office. In the early days of the club all the games were friendly’s and culminated in the annual fixture against Imperial Tobacco of Bristol. Players had to be employees of the factory to be eligible to play. The overall standard of cricket was high with many Minor County players in the side. In the late 1950’s the club ran a Sunday XI to widen the opportunities to play cricket with a further expansion in the 1970’s, when a Second XI was formed. In June 1964 a new larger pavilion, with much better facilities, was erected facing the railway line and the club changed its name to BAT Sports Cricket Club. Local cricket continued to evolve and in the mid 1970’s the Saturday games were organised into a formal league structure with the club entering the Hampshire Leagues. The first team made rapid progress through the league pyramid and soon won entry in to the newly formed Southern Electric Premier Cricket League. In a highly successful five year period from 2002 the club won the 1st Division title 3 times and were runners up once, never finishing outside the top five. In 2005 the 2nd XI gained promotion to the 3rd division of the SEPCL. With the closure of the Southampton BAT Factory in 2007 came further major changes, not least being the name change to Totton & Eling Cricket Club, to reflect the commitment to the local area and community. It also brought major upheaval to the sports ground with part being sold to a local developer for housing. 102 new dwellings were built on the site of the old clubhouse and the football pitch which was relocated to Little Testwood Farm. Widely recognised as one of the finest grounds in the area, the cricket pitch has been retained with the addition of three lane practise nets plus a stunning new two storey clubhouse. Having relocated from the old club in the last week of August 2010 the new clubhouse named Totton Sports Club was officially opened by Hampshire & England Cricketer Simon Jones MBE on 16th October 2010. The clubhouse venue changed its name in May 2015 to Totton & Eling Cricket Club to better reflect its heritage and is run by the team at Totton & Eling Cricket Club Events led by Simon & Ann Preston.